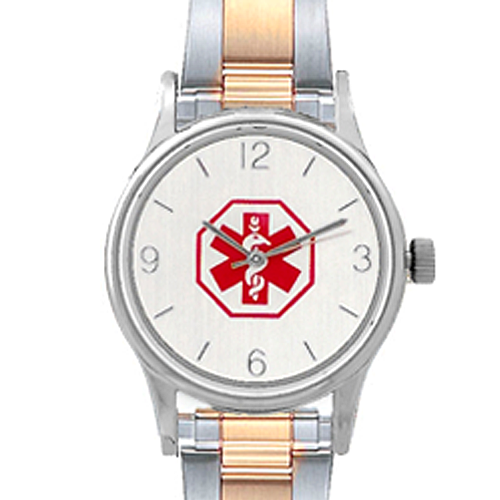 Stylish two tone, stainless steel and ion gold plated, women's medical ID watch. 28mm case. 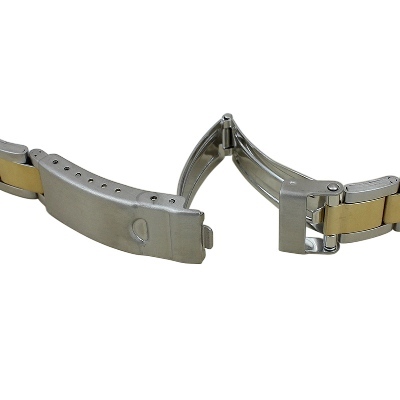 Watch back is stainless steel Japan movement. 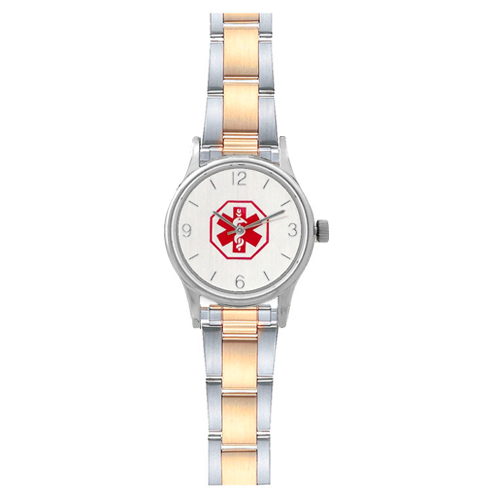 This watch is very nice. Good quality. I am very happy with the purchase. 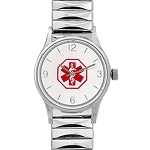 The only other medical alert products we could find were bracelets or dog tags and my mom wouldn’t wear them. 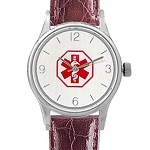 This watch is discreet, yet medical personnel would be alerted. Thank you!! I’m glad you added a watch item to your product line as I wasn’t fond of wearing a necklace or bracelet. 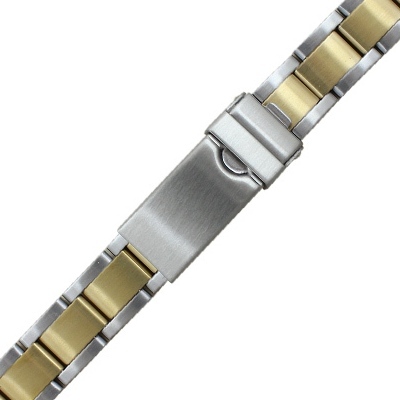 This watch is very nice quality and the engraving while small, is acceptable. The only thing I would suggest being added is a back light. I like to check the time when I wake up and miss my ‘ol Times with the back light feature. Add this and it would be perfect. Attractive, good quality product. Engraving using 4 lines with 5,5,7,7 characters worked out well. Suggest not trying to maximize number of lines/characters. This was a gift purchased for my mother. 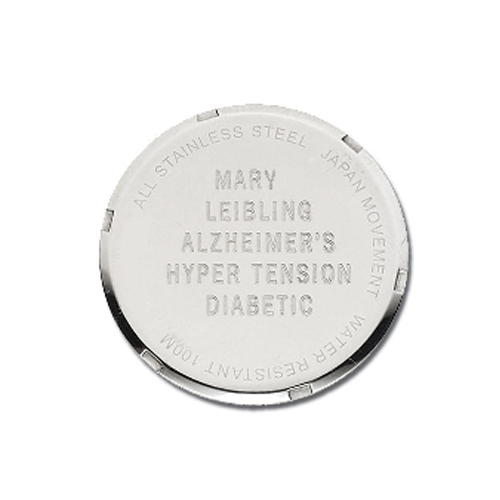 The engraving is so small you can't read it without a magnifying glass and I purchased the tin which arrived with a dent in it. Very disappointed in this purchase. Thank you for my beautiful watch!